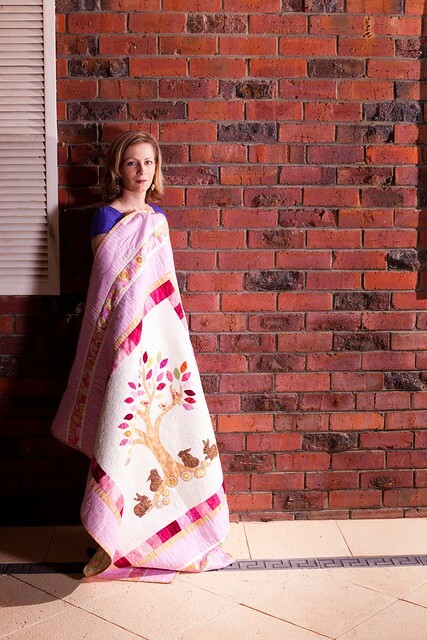 Hi, I’m Laura and I’m a quiltoholic. My blog is called QuokkaQuilts because just offshore from where I live, is Rottnest Island, one of the loveliest places in the world, which is home to the quokka. A quokka is a marsupial – it carries its young in its pouch like a kangaroo, and it looks something like a cross bewteen a rat and a kangaroo. The Dutchman who named the island called it Rottnest – or Rat’s Nest. I’ve lived on the mainland, and been able to see Rottnest Island from a hill near my house, for most of my life. I live with two Cavalier King Charles Spaniels who act as my quilt models when they are not trying to eat my fabric collection. These two below are gone, but two new quiltdogs – Melody and Scarlett – have taken over their role. 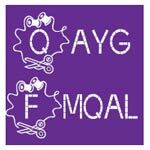 I’m also co-founder of Thank Goodness it’s Finished Friday with my Canadian co-host, MR at Quiltmatters. TGIFF is now in its fourth year.